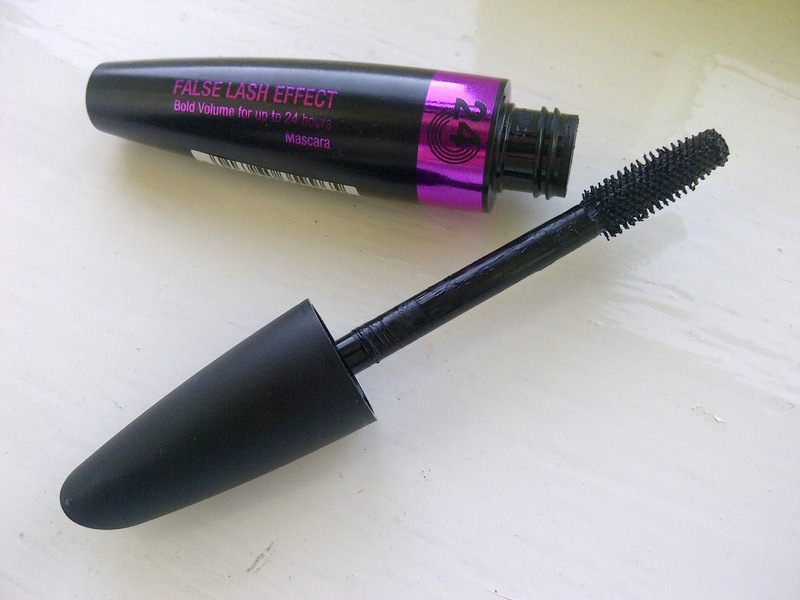 It saddens me to write a bad review about the Max Factor False Lash Effect mascara. If you've been following me for a while you'll know that I love the original False Lash Effect so much, along with L'Oreal Telescopic mascara. So when the 3 for 2 offer was running in Boots I decided to try out the new formula which is named False Lash Effect 24 Hour. It does what it says on the tin, but in a bad way. This 24 hour formula has the same brush as the original formula, tiny spikes surround the plastic thick brush. The texture is thicker than the original, I put this down to 24 hour claims. It does not flake and lashes look black and separated all day. This stuff does not come off! I wiped my eye make-up off with a cleansing wipe, and then had to try my Liz Earle Cleanse and Polish for a further cleanse and some of the mascara was still there. Two days later there was still some coated on my lashes. I like to remove all traces of make-up around my eyes as I tend to get eczema around my lids, so this isn't a go to product. I would recommend to people who lean towards waterproof mascaras and are used to the long removal process. Have you tried this mascara out? What did you think of it? It's called Lash Extension Effect mascara. IT'S AMAZING. try that one.